For those stuck, bored or frustrated with meal planning and creating delicious, easy and interesting, I offer creative, useful and Easy solutions. 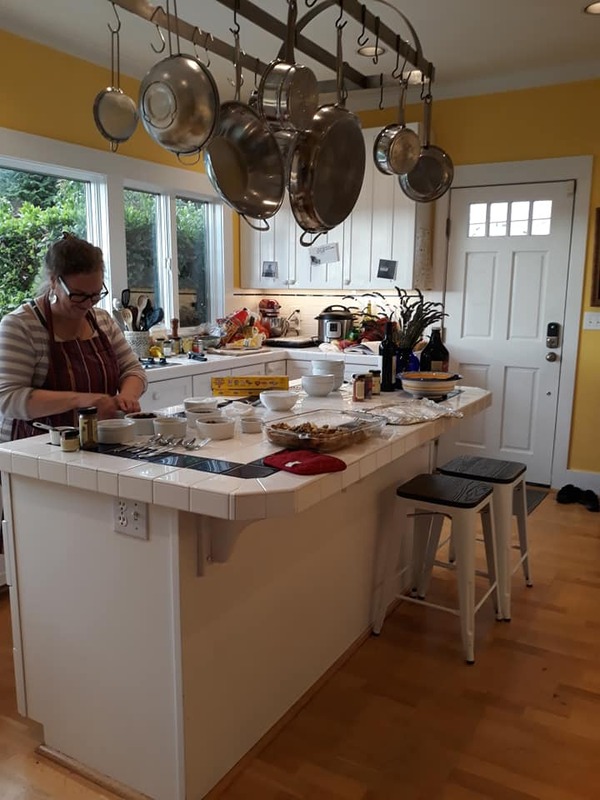 I have been a personal chef for over ten years, which has included full meal preparation, menu planning, teaching private and group cooking lessons, and one time guidance calls for those needing support when shifting to a new way of eating. I am a certified Nutritional Therapy Practitioner, with several years of experience teaching and consulting individuals and groups in all areas of holistic wellness. I love sharing my knowledge, experience and unique love of food, cooking and holistic wellness. No one learns the same way and I specialize in matching up what I know with my clients' best approach to learning. Nothing gives me greater joy than seeing the light go on within my client when they find a new way to embrace food and life! I spend time learning what is the biggest current struggle, the primary goal, and hearing what has or has not worked in the past. This allows me to create the best possible experience and a successful outcome. I have been creating meals since I was 8 years old. I have a deep love for ongoing learning, so have taken countless cooking classes, as well as in-depth nutrition, wellness, and counseling training programs. My passion is watching the joy burst from my clients as they discover new ways to embrace a holistic lifestyle, however that looks for them.